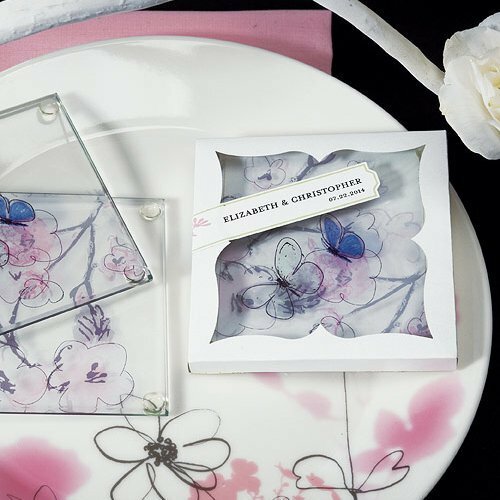 The perfect finishing touch to your spring or butterfly theme event, our stunning glass coaster party favors are sure to delight your guests. 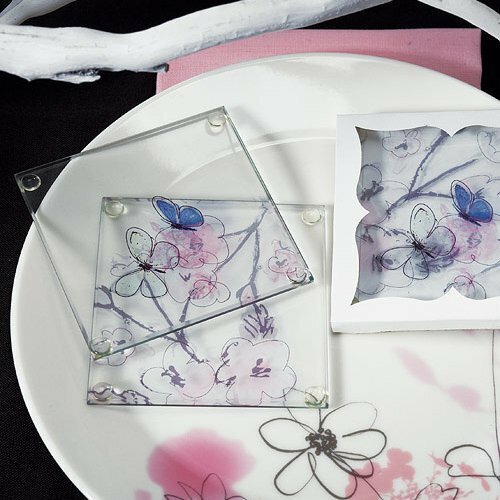 The hand drawn flowers and butterflies look amazing and complement many wedding color schemes. 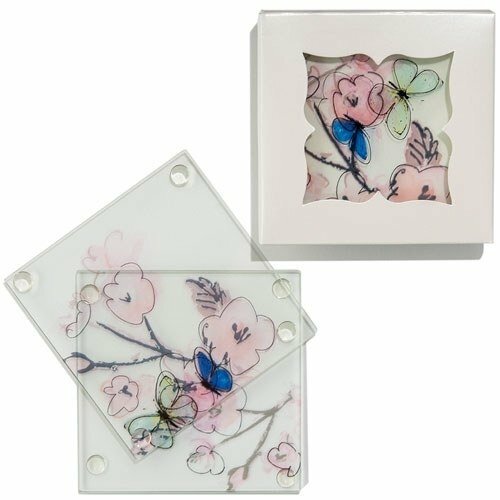 The beautiful iridescent gift package holds two unique design coasters. Gift measures 3 1/2" x 3 1/2". 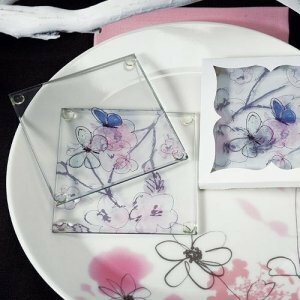 For a special touch, add a personalized sticker or tag like our Framed Butterfly Favor Sticker - Item # 1122-22 (sold separately).